Note: The Samsung J2 pro was first released in 2016.This model is a different made for a complete restriction to the internet (2018 model) for the people in South Korea. The new Galaxy J2 Pro from Samsung Korea is primarily targeted at students who does not want distractions from the Internet. The device is also suitable for older people who find too many apps and features on modern day smartphones overwhelming. The smartphone boasts a 5-inch GHD Super AMOLED display, 1.4GHz quad-core processor, 2600 MAH replaceable battery, 1.5 GB of RAM, and 16 GB of internal memory along with a micro SD slot. It also sports an 8-megapixel rear camera and a 5-megapixel front camera to take care of the photography needs. Though the press release doesn’t say anything about the on board operating system, the Galaxy branding hints at an Android-powered device, maybe without any of the Google apps and certification. The price of the Galaxy J2 Pro is ranges from 199,100 won (US$185) depending on your country and will be available in black and gold colour options. If you find the pricing steep, Samsung is also running an interesting promotion whereby students purchasing the Galaxy J2 Pro through June will receive a full refund if they buy any of the higher end Galaxy S or A series smartphones after finishing their college exams. Considering all the weird gimmicks that many Android OEMs bring to the market, maybe a smartphone without Internet connectivity is not such a bad idea when targeted at niche segments and use cases. While the premise behind making this smartphone isn’t too crazy, naming it as Galaxy J2 Pro seems to be a lousy branding decision. Here are some of the phone specifications for other countries. The Galaxy J2 Pro gives you 16GB of onboard storage that you can expand with the help of micro SD card (up to 256GB). Connectivity options include 4G LTE, Wi-Fi 802.11 b/g/n, Bluetooth v4.2, GPS/ A-GPS, Micro-USB 2.0, and a 3.5mm headphone jack. Some of the sensors made available include an accelerometer, ambient light sensor, and proximity sensor. 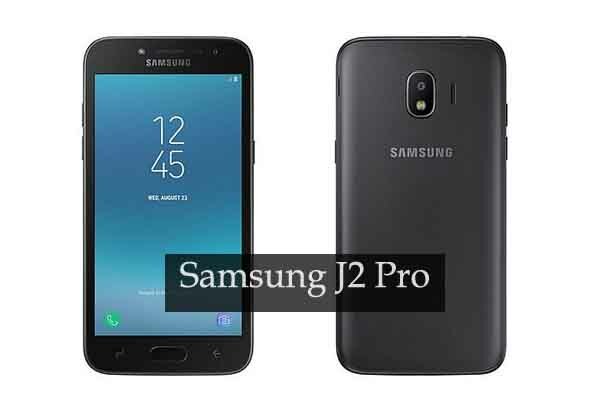 The Samsung Galaxy J2 Pro runs on a 2600mAh battery that is rated to deliver up to 18 hours of talk-time (3G WCDMA) and 14 hours of video playback time. It also measures 143.8×72.3×8.4mm and the weight is 153 grams. I believe this is good news for students that prefers Samsung device other than any manufacturers of smartphones, to enable them focus on their studies with any form of distractions.